In this interview with People Matters, Aileen shares her own journey of becoming an HR leader, the philosophy that guides Singtel's talent approaches, technology, taking risks and more. 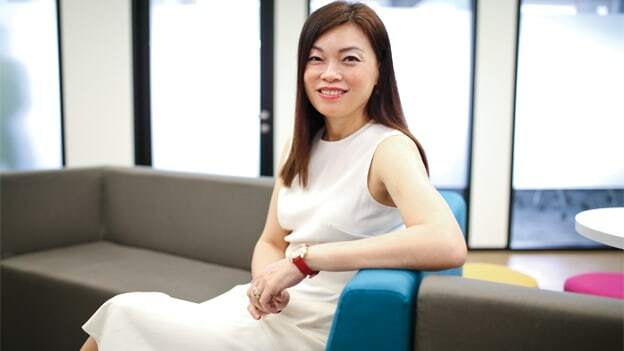 Aileen Tan is the Group Chief Human Resources Officer at Singtel. She is responsible for the development of human resources across the Singtel Group and also leads its corporate sustainability function. Aileen joined Singtel in 2008 as Group Director, Human Resources. Prior to that, she was Group General Manager, Human Resources at WBL Corporation Limited and Vice President, Centers of Excellence with Abacus International Pte Ltd.
Aileen was also the Chairperson of Workforce Singapore’s National HR Professional Certification Taskforce and co-chairs the Ministry of Manpower’s HR Sectoral Tripartite Committee. She is a member of the Media Literacy Council and also a member of the Institute for Human Resource Professionals Board and the Home Nursing Foundation Board. She graduated with a Bachelor of Arts from the National University of Singapore and holds a Master of Science in Organizational Behavior from the California School of Professional Psychology, Alliant International University, US. You hold a Master’s degree in organizational behavior and have also studied social sciences and statistics. What made you pick HR as a career path? And what made you stay in this domain? I always wanted to become a teacher and had a passion for sharing knowledge and helping people. But I enrolled in a management associate program and joined a company where I was exposed to operations and was made a supervisor. I was put in charge of a team of more than 20 people. The attrition rate was on the rise in the company. One day, my supervisor asked me what I thought was the reason for this, and I told him that either the staff didn’t know how to do their job or they were just not motivated. Something that I said must have clicked with him as two weeks later, I was assigned to head the new training and development department. I was shocked that he would pin his hopes on an amateur like me. This was the turning point in my career and likely the reason why I chose to stay in HR. I subsequently decided to do a Master’s in organizational behavior although an MBA would have been a more popular option. I have tried to lead the function holistically by adopting a systematic and analytical approach to challenges and bringing my passion for people to the role. When you look at what is going on in our business environment, so much is changing. Do you think there are things that haven’t really changed in HR? In my opinion, one fundamental that has not changed is people’s desire to do a good job if they are given the opportunity and the encouragement. I think everyone has something unique to offer and because each person contributes something different, magic is created. People want to progress, want to create progress and impact if you give them the opportunity to do so. What is the philosophy of giving people opportunities and how has that changed over time? Singtel is 139 years old this year and our people have been our most important asset in all this time. We have been investing in talent for many years now, to expand our talent pipeline. We develop them and expose them to various opportunities so that they gain experience and also broaden their knowledge of different domains and functions. The idea is to nurture them to become leaders with the capabilities to run the business which is evolving rapidly. With a strong legacy system, how do you keep a balance between continuing things from the past but also innovating and taking new risks? How has Singtel organized its HR in this digital era? How have you leveraged technology for HR efforts? Last year, we started looking into digital HR. The term ‘digital’ may sound simple but it is a fuzzy concept. We decided as a team that we should have a year of experimentation to figure out what we could do to make HR more robust and creative, yet digital. We looked up all HR technology startups, and asked them to experiment with us in an exercise that we have named “borrowed agility”. This approach encouraged our HR people to take risks and experiment with new things. Last year, our rewards team experimented with two “robots” working for them. The HR shared service team started to go paperless and now all our personnel files are digitalized. Our appointment and offer letters are no longer printed as everything is digital; and once a candidate accepts an offer letter, they sign it electronically. So, we are letting people try different things. Our approach to recruitment has changed too. We have come up with “digital roadmaps" for talent acquisition. This covers the way we search for talent through technology, build our branding with technology, make the selection and assessment, all the way to onboarding — we map each stage of the journey and identify all the digital and technological enablers and touchpoints. For example, we have chatbots that engage candidates in the first round of interviews. We are consciously embracing technology in our people practices. We also have HR apps which enable managers to review and approve leave, HR matters, expense claims, and other items on the go. Have there been times when you realized that there was a failure of a certain initiative or experiment and it became a big learning but you still kept encouraging people to take risks? Personally, failure is a difficult option as I am a perfectionist. But I have come to realize that if we are fearful of failure, we will always stick with the status quo. We encourage our people to try and experiment. But if things don’t work out, we need to conduct reviews to know what has gone wrong. A review is not a fault finding exercise but to learn from our mistakes and try again. We must make it a point to celebrate the learning journey. You will get a chance to meet Aileen Tan at the People Matters TechHR conference in Singapore on the 28th of February 2019. Register Now! NEXT STORY: You have bought the story, now who will deliver the results?